I cannot find a guide on how to insert Chinese Subtitles into movies when you encode videos, I spent a great amount of time figuring out how to do it myself. 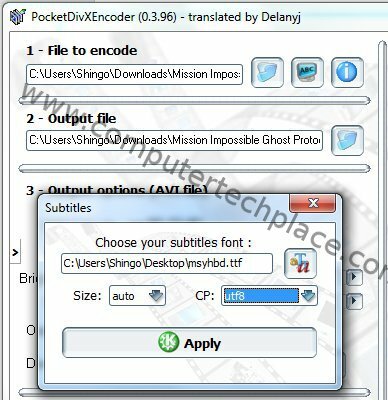 In this article, I will show you how to encode a movie with PocketDivxEncoder and insert Chinese subtitles into movies as well. The software we will be using to encode the movie will be called PocketDivxEncoder. The reason why I choose this software is because this software allows you to choose what type of font you want to use to encode the subtitle. This is very important or else there is no way you can insert the Chinese subtitles correctly into the movie. Press the “Windows Key” and start typing, type “fonts” without the quotes and Windows will be able to locate the Fonts folder in Windows 7. 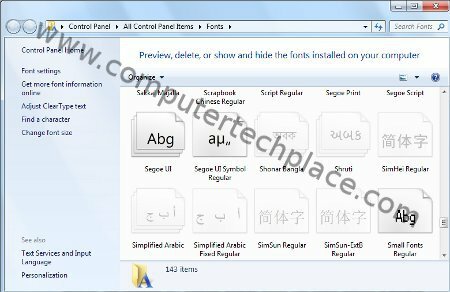 There will be a few Chinese fonts in Windows 7, it is recommended you copy them all out and paste them in the Desktop for example. This will make it easier later when you need to select the files when you need to do the video encoding. Here’s a screenshot of a movie with Chinese subtitles loaded. A point to note is that the subtitle file must be readable in a notepad before you can attempt to insert it correctly into the movie. 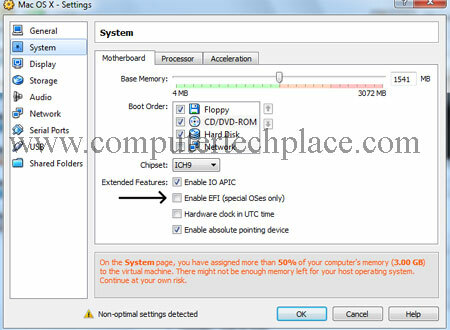 If you encounter problems where by the Chinese srt file is not readable in your computer, yet it is uploaded online. 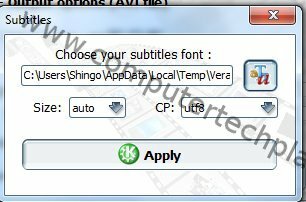 Download the Chinese subtitle and run through this converter. Set the Chinese converter to convert from gb2312 to UTF-8. I think it will autodetect the Chinese srt and output it to UTF-8.